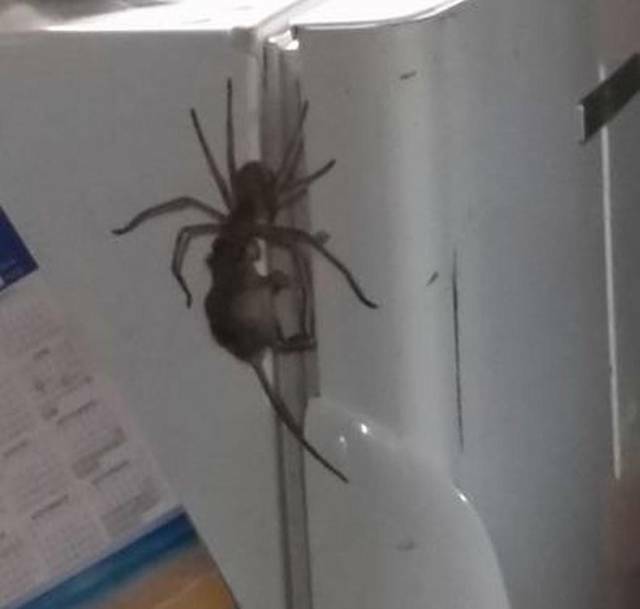 A man in Australia captured the terrifying moment a Huntsman spider crawled up the front of his neighbour’s fridge carrying a mouse. The video taken by Jason Womal has been watched more than 10 million times. It shows a Huntsman spider trying to eat the mouse as it drags it up the fridge. Womal says the spider is fine and that he has chosen to adopt him. According to the Queensland Museum, Huntsman spiders are roaming hunters that come out and night. They primarily eat medium-sized prey such as cockroaches, caterpillars and moths. Huntsman spiders, museum officials say are rarely encountered, and if bitten, effects are usually minor and last only a few minutes.